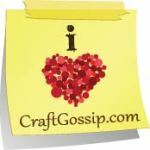 Adventures in Crafting, and other Stories. Just checking in to let you all know I am still alive, and I finally got a new job! I have been working for a local engineering company as stock controller and general office assistant, I love it, I no longer have dread in the morning and have got my weekends and evenings back, it's great. I am hoping to get back into this blogging business just as soon as my mojo fully returns. It's been a very long time, I haven't really had anything to show you, I have been struggling to come up with anything so I have been messing around with some inks and things in sort of an art journal, I made a few cards when I had a week off but mostly I spent my time with the kids, I have been feeling as though they are growing up too fast and my time with them is slipping away! I work in retail which means I work evenings and weekends this takes away a lot of my family time. So I have been job hunting without much success, and I think all this has zapped my creative mojo! 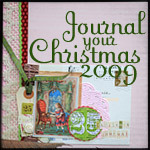 For your chance to win it hop over to http://aloadofoldpickle.blogspot.com/ and have a look. .. Fantastic candy on offer from Bev Rochester at http://bevscrafts.blogspot.com/2011/10/4000-followers-candy.html Bev has the most fantastic blog make sure you check it out. I love colouring on kraft with my pencils, it looks so effective, I made this simple card for my FIL's birthday, I stamped the image in Memento rich cocoa, directly onto a 5x7 kraft card blank, coloured with coloursoft pencils, added a stamped sentiment and little buttons. Kanban stamp paper pieced blue and white, 6 x 6 blank, printed sentiment directly on to it, hand stamped floral paper matted on blue. .. I forgot to share this card I made for my Dad, card front and back are decorated with House mouse stamps coloured with Derwent Coloursoft, papers are MME, BG buttons, papermania Kraft card blank 5 x 7, and papermania ribbon. I made the top 5!!!! Hi I'm Paula, I live in Derbyshire, England. 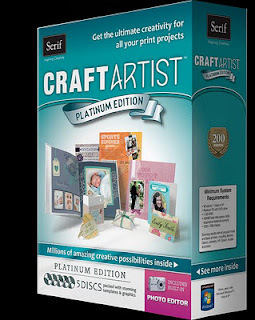 I love all types of craft but I am a real die hard scrapbooker. My camera is never far from my side. I draw inspiration from all different things especially my family. Scrapbooking: the art of making pages for an album with photos, embellishments, and accents on special acid and lignin free paper. I love scrapbooking because I mostly get to keep my creations, I do like making cards but hate to give them away, but enjoy people asking me how it was made. Photography has always been in my life, my Dad started me off he showed me how to develop a film and how to develop prints but it is a slow process, so photography never took off with me until digi', ideal for someone as impatient as me!!!!! I love to get a commission as I enjoy the challenge. If you would like to know more or commission a piece email me. Why not follow me? See where my crafting adventure goes! take a look its fab! I support my local craft shop! !